Half Day Car and Walking Tour with pre-booked timed entrance. Bike in Lucca and climb Leaning Tower. Probably the most recognized symbol of Italy, the Leaning Tower remains one of the most frequently visited sites. After years of engineering to stop it from leaning even more andfrom falling, it has been now open to the limited number of visitors. With pre booked visit you will have the chance to marvel at Pisa's panorama. 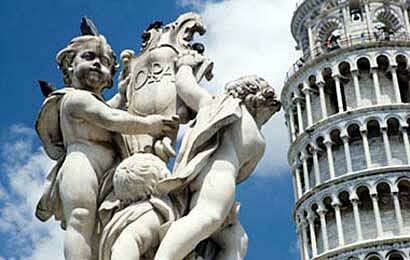 Complete your Pisa exploration with the visit of the Cathedral and Baptistry.